Apple to bid on Premier League football for Apple TV? The tender for the rights to screen games expires at the end of the 2011/2012 season, meaning the Premier League will be entertaining bids for next season and beyond. The Daily Mail reckons that both Apple and Google are interested in purchasing a slice of the pie to boost their respective Apple TV and Google TV connected services. 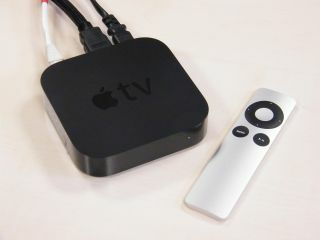 Apple TV has struggled to establish itself in the UK due to a distinct lack of streaming apps, while Google TV has been a disaster across the pond ahead of its pending launch in the UK. Apple TV currently offers subscriptions to Major League Baseball, NBA Basketball and National Hockey League apps, so a Premier League app would boost that offering considerably. The Mail, without quoting any sources or reasoning for its suspicion says: "The Premier League is seen as the type of premium content that will help establish Apple TV in the UK and boost iPad sales, while the iTunes subscription service infrastructure is already in place." "The involvement of Apple - and their great multimedia rivals Google are also expected to make similar soundings - would give the PL a hugely competitive market at a time when the price of other TV sports rights are in decline." Sky Sports and ESPN currently hold rights to show live games in the UK, while BBC screens highlights on Match of the Day and ESPN is able to show goals through its ESPN goals app. Given the Premier League's massive global reach, it wouldn't be a huge surprise to see Apple go after the rights, especially with its heavily rumoured Apple flatscreen TV reportedly set for a 2012 launch.